I find no evidence of Apsey or spelling variations in Chardstock, England before 1701. 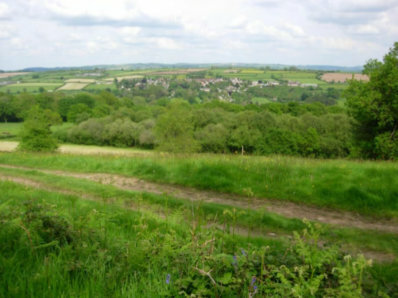 There are many Apseys in the parishes of Tintinhull and Nettlecombe and the other surrounding English counties. Chardstock is a parish in the county of Dorset, with the county of Somerset to the Northwest and the county of Devon to the west. 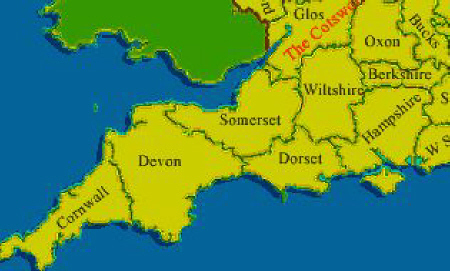 For reference, the county of Dorset is approximately 1024 square miles in size. That is 32 miles in either direction, or slightly larger than Kent County, Michigan. There are 291 church parishes in Dorset alone. That is a lot of records to search through. I believe our Ancestors migrated into the Chardstock area, possibly buying into or taking over a Copyhold. Without adequate documentation, we only have conjecture until new information comes to light. The next entry is for Giles, son of Thomas and Ann Apsey born in 1706. Based on other documentation, I feel confident that this is our Ancestor, although it would be easier to have a record of marriage to confirm that our Thomas married Ann. 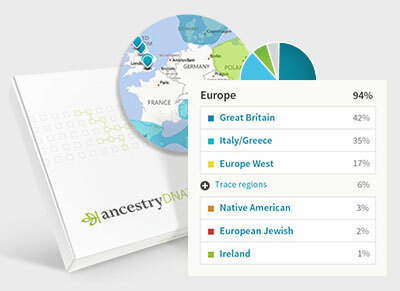 From here, I am going to jump ahead to the end of Thomas Apsey’s life and analyze his Last Will and Testament. There we will find clues about his family. Thomas died in 1735. We know this because his son Samuel is sworn Executor of Thomas’ will on May 7, 1735. We also know that this is our Thomas Apsey’s Will based on the comparison with Samuel Apsey’s will in 1799, which contains some of the same holdings. Thomas’ burial is recorded as April 25, 1735 in Chardstock. **I have a second record for a Thomas Apsey buried March 21, 1735 in Nettlecombe, Somerset, England. Chances are, using the JULIAN calendar, he is not our Ancestor as he would have died at the end of the year after the will was executed. The transcript of Thomas’ will is shown as written February 11, 1735/6. Ignore that. I believe that to be a transcriber’s mistake. If you look at the original document, it clearly shows the date to be 1734. The transcriber should have written it as 1734/5 to account for the calendar change. Keep in mind, our Ancestors at the time had no idea that their way of keeping dates was going to get messed up in the future. We need to think like they did when looking at documents and their historical meanings. Thomas lists his children living at the time. Samuel, Giles, George, Gabriel, Thomas, and Mary. Samuel (as Executor) is given the majority of the estate holdings. The other sons are given a monetary inheritance. It is interesting that Thomas lists Samuel again after he has given inheritance to the other children. Favored child? He also makes mention of his wife, but not by name. Thomas lists his grandson, Thomas in the will. Unless there is another Thomas born that I can’t find a record for, [Grandson] Thomas was born to Gabriel and his wife, Elizabeth. He was baptized September 30, 1736, but if he was listed in the will, that means he was born before February 11, 1734. We would expect that the children listed in the will would be in birth order, from oldest to youngest. This is not necessarily true. Many times, the youngest was given the majority of the estate with the understanding that the older ones had already received their portion. In the case of Copyholds, Thomas (and the owner of the manor) would have wanted those rights passed to the person most qualified and able to continue his legacy. Remember, Copyholds are not land ownership and not under the rules of inheritance. They only give the right to work and manage the land for the Manor owner. It is possible that Samuel was the youngest son, the one who tagged along with his father, paid attention and learned all the insights his father wanted to pass on. Information is taken from the Chardstock St. Andrews Records. There are no entries recorded for the years 1708, 1709, 1710, 1711, 1712, 1715 Limited entries for the years of 1713 and 1714. I have kept the numbered months rather than the written months, as I do not know which calendar they used for transcription. *John may have been baptized again at an older age using the name of Apsey, maybe when he made his own profession of faith. Giles is the last child known to have been born to Thomas and Ann. Considering we do not know when Ann died and Thomas married Eleanor, it is difficult to determine if Samuel is Ann’s child or Eleanor’s child. A distant Apsey relative has an interesting theory about the lineage of Thomas Apsey. “Thomas Apsey was a miller, and millers are notorious for moving around. The first mention of his activities in Chardstock come from the Overseers’ Accounts, when he is mentioned as paying Poor Rate on the Mill c1714. Thus, at some point between his arrival in the parish and 1714, he has obtained the copyhold. There were two ways in which an incomer could obtain a copyhold by the customs of Chardstock Court – by obtaining a piece of land freehold from the Lord (which was a qualifying factor, but of which we have no record) or by marrying into it. It could be significant that his last recorded child by his wife Ann was Giles, in 1706, and that his first recorded child by his wife Eleanor was in 1718, so it could be reasonable to suppose that the copyhold came with Eleanor. Chardstock was one of the very few Manors that permitted a woman to obtain a copyhold, either by the death of her antecedent, or by widowhood. Studying Thomas’s Will, it would seem that the eldest got the least and had to wait the longest. Giles got £15 to be paid in a year, George got £15 to be paid in two years, Gabriel got £5 to be paid in three years, Thomas got £5 to be paid in four years. All of these are sons of Thomas and Ann. His grandson Thomas (son of Thomas) got 5s – and would appear, at the time, to be the only grandchild. As to the children of Thomas and Eleanor, Mary received leasehold land. Samuel is the main beneficiary, gaining all the copyholds then in Thomas’s possession. Thus it would appear that Ann’s children got money, and Eleanor’s got lands.